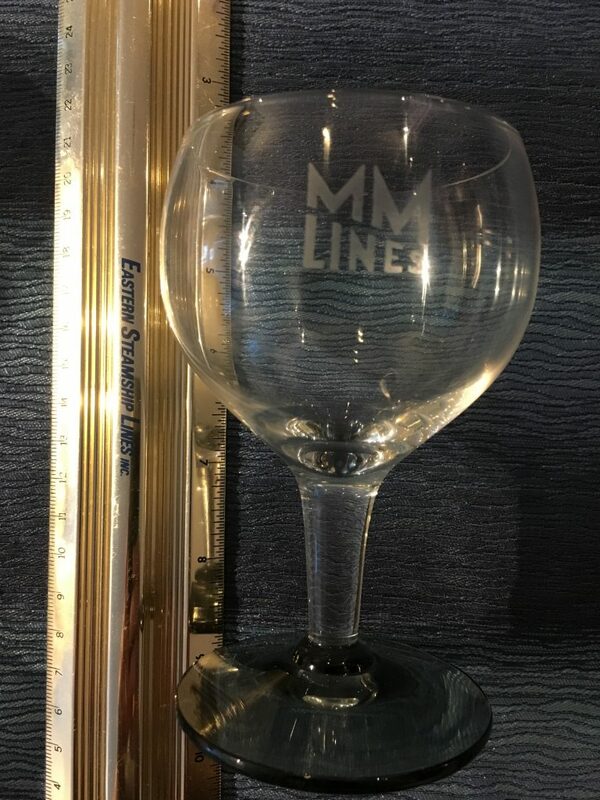 Lovely MM etched glass for the onboard service. The lovely bowl and stem sits upon a darker smoky base. Nice ring to it!